If built, the Site C dam would flood the Peace River Valley near Fort St. John in northeastern BC. There is no case for this massive earth-fill dam. The BC Utilities Commission final report made that clear. Unfortunately on December 11, 2017, Premier Horgan and his cabinet decided to continue building Site C.
In making this decision, this government has betrayed First Nations, ratepayers, future generations and all those who voted in hope of stopping Site C. However, this decision is not the end of the story. There’s far too much at stake for us to give up the fight against this abomination. We will continue to hold the federal government’s feet to the fire on its obligation to assess Site C’s impact on water flows into Wood Buffalo National Park. We will also support the West Moberly First Nations and Prophet River First Nation who intend to launch a lawsuit asserting their Treaty 8 rights, which they say are violated by Site C.
The price tag is truly staggering: according to the BC Utilities Commission, the dam is already behind schedule and over budget and could ultimately cost ratepayers $12.5 billion. We will all foot the bill through devastating Hydro rate hikes of 30 to 40 per cent, taxpayer subsidies to Hydro debt, and potentially a reduction in B.C.’s credit rating. It’s the most expensive public project in B.C. history. There is no need for Site C power: demand for power has been falling since 2008. BC Hydro’s own figures anticipate falling demand from industrial users. BC Hydro is paying independent power producers not to produce electricity due to oversupply. The simple truth is that Site C represents 1950s thinking applied to 2017 challenges. It’s not a smart way to create jobs—each Site C job costs you $3.4 million! The alternatives are far cheaper and provide better long-term jobs than Site C.
The 60 metre-high dam would flood farmland capable of providing fruits and vegetables for a million people every year. The Peace Valley has some of B.C.’s highest quality farmland. With climate change threatening B.C.’s food security, it makes no sense to destroy it. There are many ways to produce power, but only 5 per cent of the B.C. land base is suitable for agriculture. The Peace Valley is one of the few remaining places where Treaty 8 First Nations can hunt, fish and engage in cultural activities to maintain their identity and connection to the land. The right to hunt and fish, guaranteed by Treaty 8, becomes meaningless when hunting grounds are under water, moose populations are decimated, and fish are contaminated with toxic methyl mercury from decaying trees and other vegetation. 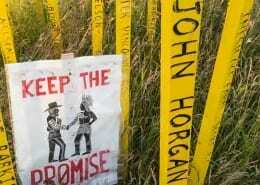 Site C will obliterate hundreds of archaeological sites, including a First Nations grave site and ceremonial sites. The dam would also cut off a key migration route for wildlife, with severe negative impacts on wetlands, migratory birds and grizzly bears. The West Moberly and Prophet River First Nations have challenged the federal government in court on Site C and have said they’ll launch a lawsuit if the provincial government approves the project. If our governments are serious about reconciliation and a new relationship with First Nations, then they must not allow Site C to wreak more destruction on First Nations’ land and cultures. Wood Buffalo National Park in northeastern Alberta is a UNESCO World Heritage Site and Canada’s largest National Park. But Canada is failing to protect this treasure by allowing the Site C dam to proceed. After Sierra Club BC raised the issue with UNESCO, the international body strongly criticized Canada for failing to protect Wood Buffalo National Park. 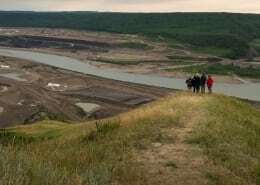 In early 2018, Canada issued a rough outline of a plan to implement some, but not all, of the recommendations, notably rejecting the recommendation to conduct an environmental and social impact assessment of the Site C project.